What is the LFC Foundation? The LFC Foundation is the official charity of Liverpool Football Club. Our mission is to bring together the LFC family to create life changing opportunities for children and young people. The Foundation delivers a wide range of projects in areas of high need across Liverpool City Region and beyond. We deliver our activities in schools and within the community. We also undertake other charitable activities on behalf of Liverpool Football Club. This the LFC Foundation a registered charity? The LFC Foundation is a financially independent charity registered in England & Wales with The Charity Commission, Charity Number: 1096572. Registered Office: Anfield Road, Liverpool, England L4 0TH. How can my child/family benefit from LFC Foundation projects? 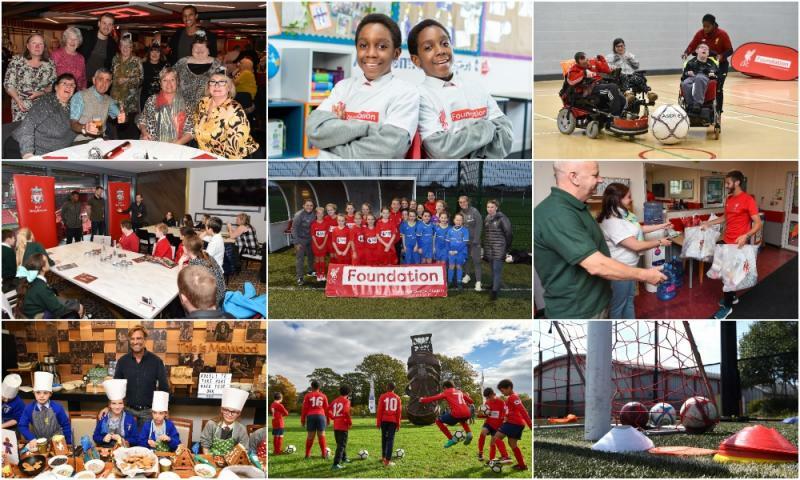 The LFC Foundation delivers 19 projects across Liverpool City Region. Project sessions are delivered in schools and in various community venues across Liverpool. If you would like to join a community session you can secure a place by using our online booking system. You can also call our team on 0151 432 5675. Do I have to book a place on LFC Foundation community sessions in advance? Yes, we ask that all participants book in advance using our online booking system or by calling our team on 0151 432 5675. This helps us ensure we have the correct number of staff members to run the session safely and that everybody has a great time! While we make every effort to include all attendees, we cannot guarantee your child can take part without a booking. How can I support the LFC Foundation? As an independent charity, your support helps us reach even more children and young people in need. There are many different ways you can support the LFC Foundation; by making a donation, getting involved in fundraising and by volunteering. Is it possible to gain a signed shirt or other LFC memorabilia to fundraise for my own charity? The LFC Foundation is fully committed to improving and supporting the lives of children, young people and those in need. In addition to our own work in the community we also support our three official charity partners; IntoUniversity North Liverpool, Liverpool School of Tropical Medicine and Alder Hey Children’s Charity. Due to the volume of requests we receive, unfortunately we cannot fulfil those outside of our partners. On occasion, Liverpool Football Club may be able to assist with supporting special circumstances. You can contact the Club’s customer service team here.